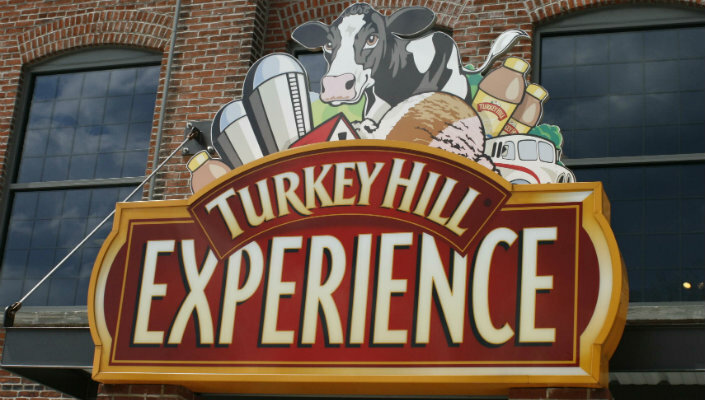 The Turkey Hill Experience features interactive exhibits allowing you to learn about dairy culture, the story of Turkey Hill Dairy, and how the company's ice cream and iced tea flavors are selected and created. You will truly experience what it's like to be a Turkey Hill Dairy ice cream maker for a day, including the opportunity to create your own virtual ice cream flavor in the Taste Lab. The Taste Lab is a hands on experience available for a nominal additional fee. Discover the history and culture of western Lancaster County and the Susquehanna River Valley while experiencing the natural beauty and wonderful stories that shaped the area.